Source The drawing and the colors were based from flagspot.net. 30 octobre 2012 à 15:38 900 × 600 (2 Kio) Aguzer English: Moon Status: One Object Türkçe: Ay "Tekil" hale getirildi. 4 mai 2012 à 23:32 900 × 600 (3 Kio) Fry1989 Pakistan uses a very unique dark green that I've struggled for a LONG time to find, but I think I've finally cracked it. 4 mai 2012 à 23:31 900 × 600 (3 Kio) Fry1989 Pakistan uses a very unique dark green that I've struggled for a LONG time to find, but I think I've finally cracked it. 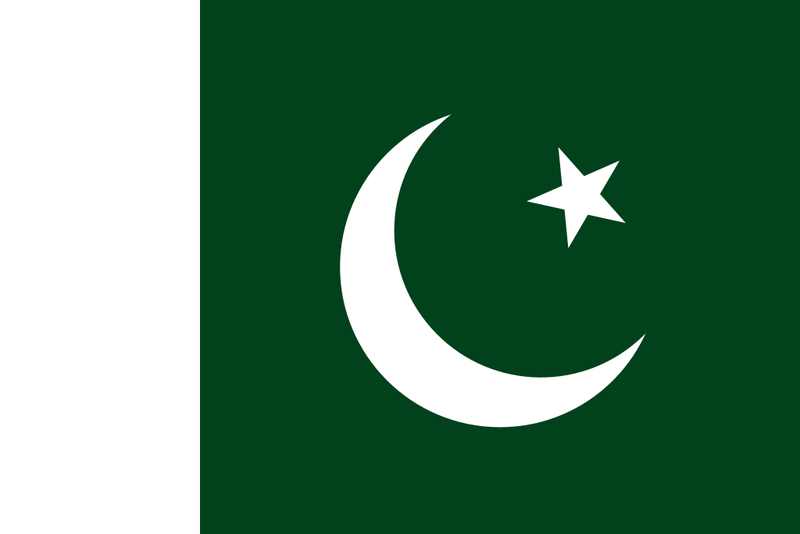 Ce document provient de « https://fr.wikipedia.org/wiki/Fichier:Flag_of_Pakistan.svg ».